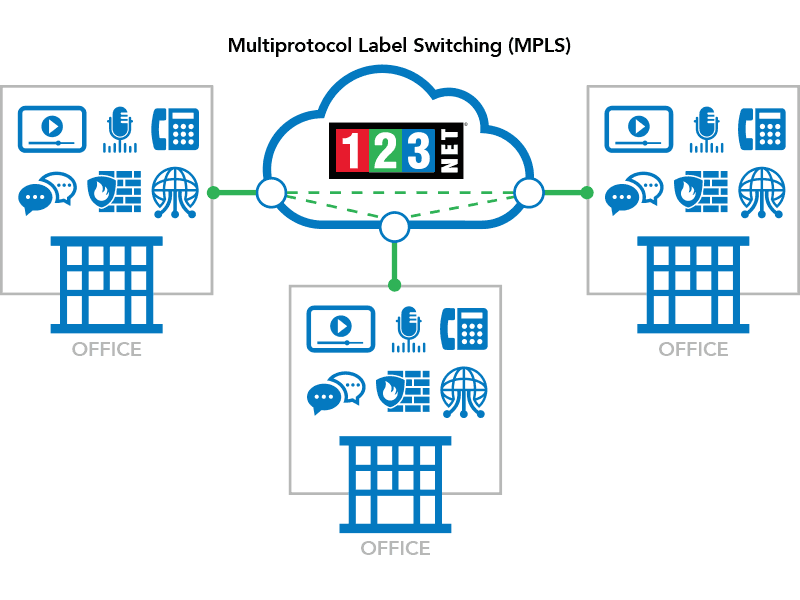 123Net’s Multiprotocol Label Switching (MPLS) service provides a cost-effective, customizable, secure, and robust way to consolidate business applications and locations on a single private network. Prioritize business-critical applications such as Voice over IP (VoIP) and video using Quality of Service (QoS). The MPLS fully meshed architecture creates a site-to-site connection across the 123Net backbone that is superior to traditional routed IP networks. An MPLS network delivers predictable application performance, security, and scalability. Improved network performance results from faster communication and increased productivity for your business.